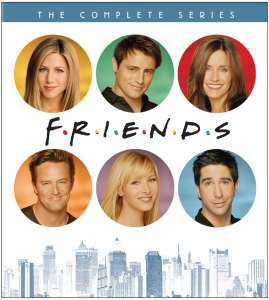 The Friends TV show was a 30 minute comedy series on NBC about six friends in their twenties living in New York city. The main plotlines of the episodes covered issues important to young adults including dating, building careers, and relationships. Later in the series, issues like marriage and having children became the focus. The challenges of adulthood versus the desire to remain footloose and fancy free also made the stories interesting. Despite the challenges of love and career, they all still managed to stay Friends! Title: "I'll Be There for You"
1. Who was bitten by a Peacock while visiting the zoo? 2. Which High School did Monica, Rachel and Ross graduate from? 3. Ross was allergic to a fruit. Which fruit was it? 4. What was Joey's bedtime Penguin Pal's name? 5. 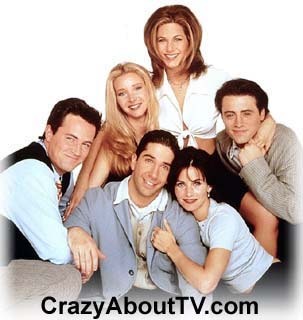 What pop group performed the Friends theme song? 6. What role on Friends did Courteney Cox originally audition for? 7. What game did Monica absolutely love to play? 8. Where did Ross and Emily plan to go for their honeymoon? 9. Which member of the Friends cast guest-starred on the first four episodes of NYPD Blue? 10. How much money did Rachel's parents spend on her wedding to Barry? 11. Which of the "Friends" attended college? 1. Chandler was bitten by a Peacock. 2. They all graduated from "Lincoln High School". 3. Ross was allergic to Kiwi fruit. 4. "Hugsy" was the name of Joey's bedtime Penguin Pal. 5. The group who performed the Friends theme song was "'The Rembrandts". 6. Courteney Cox auditioned for role of Rachel before being cast as Monica! 7. "Pictionary" was the game that Monica couldn't get enough of. 8. Ross and Emily planned to go to Athens, Greece for their honeymoon. 9. David Schwimmer was cast in the first four episodes of NYPD Blue as a character named "Josh '4B' Goldstein"! 10. Rachael's wedding to Barry cost her parents a whopping $40,000! 11. In episode #229 titled, "The Stripper Cries" Ross and Chandler went to the college they had attended together for a reunion but the name of the college was never mentioned. Rachel and Monica also attended unnamed Universities. Neither Joey or Phoebe attended college. For more television trivia, visit our TV Trivia Page! Thank you for visiting our Friends cast Episodes Trivia page!